On the letters page of Private Eye No. 1178, Paul Webster referred sarcastically to a previous writer's "gallant and Christian acceptance of my sexuality." He went on to say,"May I now assume that all I need to do is become celibate, then I can marry my partner of 10 years in a church and adopt some of those spare children that you heterosexuals don't seem to want? It's over in the USA, I'm afraid. (Sigh!) The "Prayer Breakfast" starts the night before with Mass at the Cathedral in Washington DC. Then the "breakfast" goes on all day. The various speakers include Bishop Wuerl, Scott Hahn and Richard John Neuhaus, talks in the afternoon on bioethics, marriage and public policy. On the following day, there is a tour of Catholic sites in Washington DC. 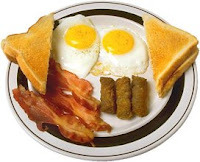 Oh, and bacon and eggs are served at some point. Here is the dedicated site for the National Catholic Prayer Breakfast. Fr John Zuhlsdorf has a helpful list of 20 tips for making a good confession which I recommend. Don't waste energy being cross with him or feeling sorry for yourself. God is infinitely good and everything that he allows to happen to us can work to our good by his grace. In the past, I have found that it has challenged me on some sin that I have become a bit blasé about and it has done me good. But also, pray for the priest. He is running a great risk here. If souls are lost because of his harshness, he is going to have a lot of explaining to do to Our Lord when he meets him. I received notice of this by email today. Recipients were encouraged to invite any interested persons. So if you are interested, consider yourself invited! There will be a Day of Recollection in preparation for Easter, preached by the priests of the Fraternity of Saint Peter will preach a Day of Recollection at Our Lady of the Assumption and St Gregory, Warwick Street on Saturday 17th March, 2007. The second talk will be followed by Confessions. 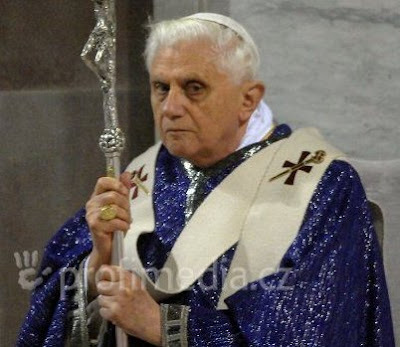 The day will end at about 4.30 pm with Benediction. 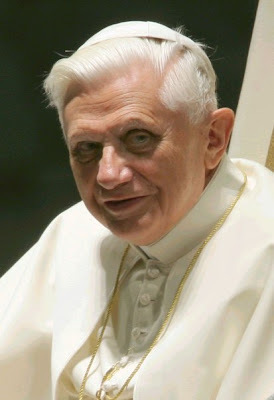 On Saturday, Pope Benedict addressed the members of the 13th Assembly of the Pontifical Academy for Life. This morning, he addressed them again, together with participants who gathered for the International "Conference on Christian conscience in support of the right to life" which took place last Friday and Saturday. The address on Saturday morning referred to pressure for the legalisation of abortion in South American countries, biotechnical research and the "new wave of eugenic discrimination as well as pressure for "the legalisation of forms of cohabitation alternative to marriage and closed to natural procreation." Here is a link to the Vatican Information Service report and, for readers of Italian, the full text. Gerald Augustinus has a translation of comments made by Cardinal Schoenborn on the question of orientation at Mass. He recently gave permission for the parish of St Rochus in Vienna to use the baroque, eastward-facing altar instead of the movable "people's altar." Some people have complained about this and called for a boycott of the (hugely popular) Church. You can read the Cardinal's comments here: Cardinal Schoenborn on "ad orientem" & "versus populum". 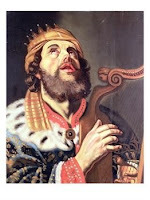 St Rochus is the Church of the Vienna Oratory. Here is a picture of the altar. Can't you just hear all the "people" crying out "No, give us back our portable table!" 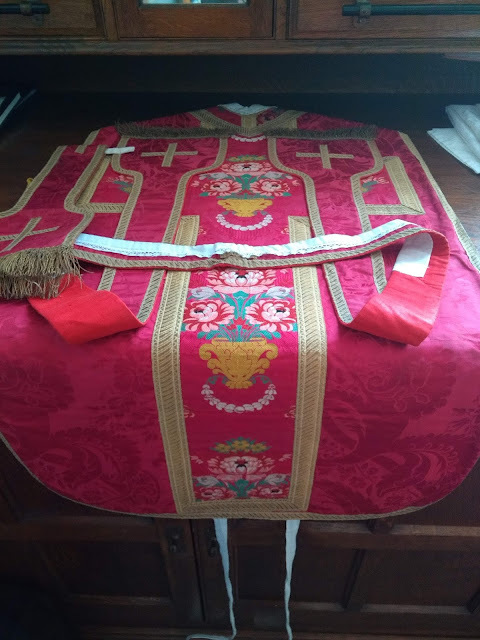 There is a recently started blog for The Latin Mass Society RC Diocese of Middlesbrough. John Allen, a widely respected reporter who writes for the National Catholic Reporter, has devoted his weekly "All things Catholic" column to a critique of the way in which the British press reports on religious matters. The article is entitled Irresponsible reporting on religion is dangerous. He begins:Normally I love writing this column, but this week I need to say something that gives me no pleasure at all. Here it is in a nutshell: Reporting on religion in the mainstream British press is not only sometimes dreadful, it's dangerous, and something needs to be done about it.Allen is particularly moved to write because of Ruth Gledhill's article in last Monday's Times "Churches back plan to unite under Pope." Soem further news on the Sir Patrick Cormack deselection story. The vote to deselect the strongly pro-life MP for South Staffordshire has suffered from a "clerical error." Sir Patrick diplomatically said that a party investigation had established that "the attendance record did not appear to reflect an accurate record of those entitled to vote." Or, to put it another way, there were more ballot papers cast than people present. That's always the danger with "vote early vote often" tactics - if you overdo it, you get rumbled. Great news in my inbox today - there is a Catholic Oxford blog which started earlier this month. Apparently it started following discussion at a meeting of the Newman Society - of which I was President in Hilary Term 1979. I was just browsing for some non-standard synchronising software for my new MDA when I came across this sig belonging to "Silkstone" at the Digital Darkroom.Before you criticise someone, walk a mile in their shoes. Then, when you do criticise them, you're a mile away and have their shoes. 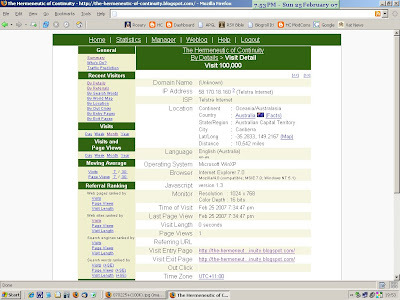 Today, the stats show that the number of visitors to this blog have tipped over 99,000. (The "hits" figure is over 180,000.) Barring disasters, the 100,000 landmark will be reached sometime on Sunday. 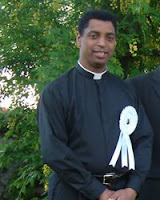 So I hope that you will accept in grateful thanks for your interest that I will offer my Mass at Wonersh on Monday for the intentions of all visitors to this blog, asking God to bless you and your loved ones. Thank you for your support. 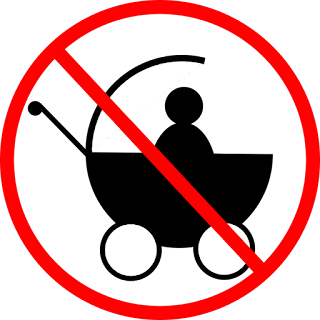 The conference will be looking at how it is morally permissible for doctors and health staff, and others, to treat those with limited or no capacity to give consent. The morality (or lack of it) of e.g. euthanasia, sterilisation, and of the use of patients for non-therapeutic research will all be discussed. A central point of attention will be the Mental Capacity Act 2005 and what the application of that Act might lead to. The Conference will be held at St Mary’s University College, Strawberry Hill (near London Heathrow) from 5-7 July 2007. Mrs Jackie Parkes MJ, a regular commenter on this blog, has started here own blog called Catholic Mom of 10. Her children range in age from 6 to 20. The "MJ" indicates that Mrs Parkes is a member of Miles Jesu. Joanna Bogle (known to bloggers as Auntie Joanna) has written a feature about me that has been published in this weekend's Catholic Times (The article is not available online as far as I can tell.) The piece is illustrated by the photo that I have recently put on the sidebar. If you have come to this blog after reading the article, welcome! If you find it interesting, you can browse around by using the labels at the bottom of each post, the archives in the sidebar or the search box at the top of the screen. Comments to the blog are moderated and I have written about comments on blogs in general and comments on this blog. If you are new to Catholic blogs, have a look at some of the excellent blogs listed in the sidebar under "Blogroll." A correspondent has drawn my attention to the story in the Telegraph about the deselection of Sir Patrick Cormack, MP for South Stafforshire. He is a widely respected parliamentarian who was first elected in 1970 and won his seat at the last election with a 9.4% swing to the Conservatives - the largest in the country. Phil Woolas, the local government minister, said:"This is an outrage. 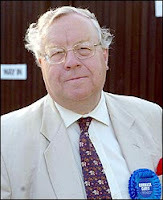 If there's no room for people like Sir Patrick in the modern Conservative Party, then Middle England really should be worried"There is more information at the blog of Oliver Kamm: Tory ructions. Sir Patrick is an independent minded "one nation" Tory who was a frequent rebel under Margaret Thatcher and under John Major voted against his party in a 1992 division condemning action in Bosnia as "too little, too late." Guard Duty is an interesting Wordpress blog that carries a helpful collection of articles and links related to various faith issues. The last lecture of the Symposium was given by Fr Dylan James who has recently been awarded his doctorate in Rome for his comparison of Catholic and secular approaches to the definition of the human person in the context of bioethics. The Catholic approach is not without controversy. 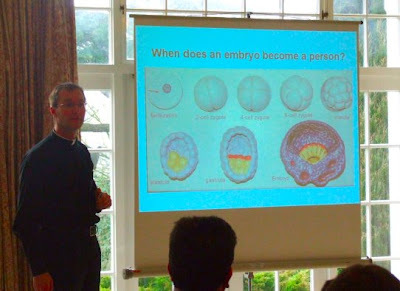 Taking Boethius' definition "An individual substance of a rational nature", Fr Dylan looked at the question of the human embryo and particularly the different approaches that have been suggested within (orthodox) Catholic thought to the problem raised by the potential for twinning. Lest you should be worried by this discussion or by the picture above, let me reassure you that our new Doctor proposed a strong case that the embryo is a person from the moment of conception. There was a press conference today to present the forthcoming conference on "Conscience in Support of the Right to Life" which will take place on Friday and Saturday this week on the occasion of the 13th General Assembly of the Pontifical Academy for Life. 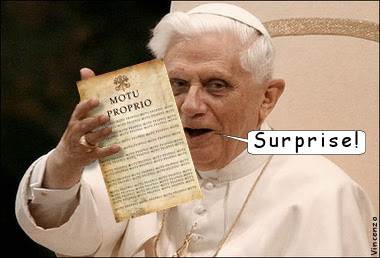 The Vatican news service carried the prepared speeches given at the press conference (two in English, two in Italian.) Today's Zenit News has an article entitled British Bill Violates Liberty, Says Bishop with quotations from Bishop Sgreccia, the President of the Pontifical Academy for Life, in response to a journalist's request for him to comment on the Equality Act. He said:"I think that conscientious objection is fully justified and I would be surprised if a nation, such as Great Britain, usually considered as the homeland of fundamental liberties, would deny at least on one occasion recognition of this objection,"
Hope in the Heart of Soho is a blog from the School of Evangelisation based at St Patrick's Soho where the parish priest is Fr Alexander Sherbrooke. I was last over there for the visit of Cardinal Pell last year. Archbishop Fulton Sheen often said Mass at the Church and described himself as the parish's unappointed curate. A heads-up too for another UK Catholic blog: Catholic and Loving It by Ella and James Preece. Say a prayer for their baby who is soon to be born. There is a recent post about Whitby Abbey with some great photos. 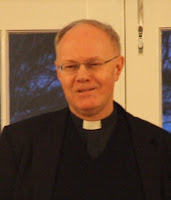 I had heard that John Smeaton, National Director of SPUC was to be interviewed for Zenit but have only just found out via Fr John Boyle (South Ashford Priest) that the interview was published in last Friday's edition. That will teach me to leave Zenit emails unread! In the interview, John points up the major problems with the Blair Government, the bias of the mainstream media, and the loss of moral compass that prevents morally rational thinking on moral and bioethical issues. Of particular interest to bloggers will be this section:Q: Christian leaders in Britain in recent years have lamented the state of religion, as witnessed in low church attendance. Has that affected culture-of-life issues? Smeaton: Whatever the fundamental cause of low church attendance, the situation is worsened by the lack of clear teaching on culture of life issues. Jeff Miller had a post a couple of days ago called Contraception and Chocolate. It tells of a campaign to hand out Hershey Bars with condoms on college campuses. Depressing though it is, the story headline reminded me of an amusing incident from my days at Oxford. 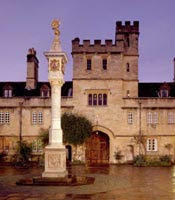 The Corpus Christi College JCR had a motion posted "That a machine for the purveyance of contraceptives be installed in the Plummer." Paul Haffner (left) was there at the time so it must have been my first year (1977-8). He lobbied the Catholics at the College to turn out to support an amendment he was intending to propose. There were not all that many of us but a couple of hearties from the Officer Training Corps ensured that we were not entirely overwhelmed. The lecture on Wednesday evening was given by Edmund Nash, a PhD student at the Molecular Evolution laboratory at the Department of Biochemistry in Cambridge University. 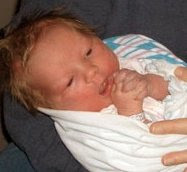 Edmund is a recently married Catholic and a very active pro-lifer. The first part of his lecture was a critical evaluation of Intelligent Design theory. For those not familiar with this debate, I should make it clear that he was referring particularly to the work of Michael Behe; Edmund, along with all of us, believes that the universe was intelligently designed. He took issue with the idea that certain organelles (for example the bacterial flagellum) are examples of "irreducible complexity" - that is to say that they cannot be produced by gradual evolution because the precursor would be non-functional. He outlined how in fact the individual parts of the flagellum do in fact have other functions. He also examined the old saw "evolution is a theory, not a fact." In the car from Blackfen to Wonersh yesterday and from Wonersh to Parkminster, from Parkminster to Blackfen today, I have listened to two lectures from the new downloads available from Keep the Faith. They were both very moderate and balanced treatments of controversial topics. The first was "The Seven Storied Thomas Merton" by Dr Robert Royal. A Trappist Monk, Merton became a celebrity with the publication of "The Seven Storey Mountain." Later in his life, he became very interested in Eastern Mysticism as well as promoting various "right on" causes in the 60s and 70s which have led to him being dismissed by many. Dr Royal is quite frank in his criticism of some of Merton's views but retains a respect for him as an outstanding writer and, with caution, a guide to mysticism. Earlier this month, Bishop Crispian Hollis wrote to all the priests of the Portsmouth Diocese to make it clear that the conditions do not exist in this country for a licit celebration of “Rite 3” of the Sacrament of Penance (i.e General Absolution.) 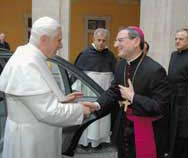 He urged priests to find ways in which individual confession could be made available to the people. Hey! I think I'll give up brussels sprouts for Lent. 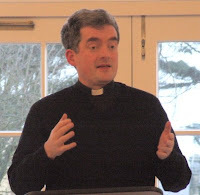 After Fr Hugh MacKenzie had led us through the question of realism in Catholic philosophy, Wednesday morning saw us taken in a different direction by the paper of Fr Dominic Rolls, part time lecturer in scripture at St John's Seminary, Wonersh and parish priest at Dorking. Fr Rolls spoke of the Psalms, and particularly how they show the "quickening touch of the Living God upon man as a wise and loving relationship continuing into eternity." The lecture focussed on the nature of revelation as the work of God in his wisdom and love upon the soul of the human person, teaching and drawing us to himself in the truth. The written word of the Bible is inspired by God as the authoritative communication of his living wisdom, always looking toward "the one who is to come." Fr Rolls used psalms 8 and 135 to illustrate the dignity of the human person and the revelation of God through the history of his people. 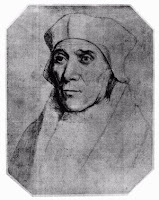 Sir Dan of the Nesbitry has sent me the quotation from Pope John Paul II's first address to the Cardinals on 18 October 1978:I remember, at this moment, the figure of a great Bishop, St John Fisher, created Cardinal when he was imprisoned for his faithfulness to the Pope. On the morning of the 22nd June 1535, while he was preparing to offer his head to the executioner's axe, he exclaimed facing the crowd: "Christian people, I am about to die for faith in the Holy Catholic Church of Christ." May this unshakeable faithfulness to the Bride of Jesus be always the badge of honour and the pre-eminent boast of the College of Cardinals. In answer to questions such as "Can I go?" and "Can we read the papers?" I should say a word or two about the nature of this event. The Symposium grew out of discussions between priests and theology graduates at the various events organised by the Faith Movement for students and by seminarians during their studies. We have two major events for students each year and a number of series of talks in various places to give a coherent presentation of Catholic doctrinal, moral and spiritual teaching. At these events, there was an obvious need for those who had studied theology to go into matters rather more deeply. The Symposium is designed to meet this need. 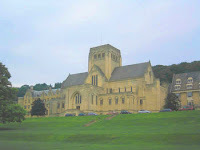 Now back from Ampleforth after a relatively traffic-free journey with two othe bloggers, Mulier Fortis and Bashing Secularism, I have selected and edited a few photos to share with you. First of all some shots from Ampleforth Abbey itself. Above you can see the Abbey Church with a sculpture of St Benedict in front. Below is the view over the southern edge of the North Yorkshire Moors. Most of us were accommodated in the Grange, a comfortable guest house with a meeting room that was just the right size for the assembled company. I was unsure of the subject of this sculpture until I saw it from this angle and realised that it is a modern interpretation of the Pieta. Not my cup of tea but I suppose it is easy to be negative. Can anyone explain it to me? Just before I left for Ampleforth on Monday, a packet from Amazon dropped through the letter box. it was the new book by my friend Jim Corum "Fighting the War on Terror. A counterinsurgency strategy." 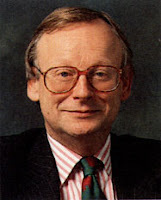 I came to know Jim at Oxford in the late 1970s when he was there studying medieval history. He had been commissioned in the Intel Corps in 1976. On returning to the States, he went back into the military. His was on active service in Iraq in 2004. 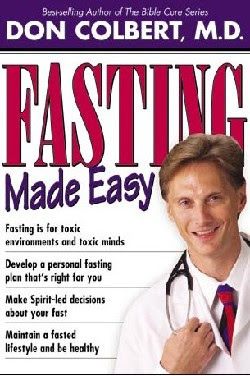 I last saw him when he was in England as a visiting fellow at All Souls College doing the research for this book. He is an associate professor a the US Army Command and General Staff College in the Department of Joint and Multinational Operations at Fort Leavenworth, Kansas and used to teach at the Air University, giving the course on "Terrorism and Small Wars." Fr Roger Nesbitt began the Symposium last night with the first half of his presentation on "Jesus and the struggle against evil." He spoke particularly of the angels and opened up a good theological discussion on the place of angels in creation. today, he will be dealing more particularly with the fall and the battle against evil. It was Fr David Standen's 50th birthday yesterday. Cakes appeared from various people together with some champagne to toast him after dinner. The information said that it would be possible to arrange facilites for a private Mass in the crypt. I duly went to see the sacristan who arranged to set things up for me between Matins and Lauds so that I can say Mass at 7am each day. I have the chapel dedicated to St George and the English Saints. Tomorrow morning I will be saying Mass at 7am (Classical Rite) before driving up to Ampleforth Abbey on the North Yorkshire moors for the annual Theological Symposium of the Faith Movement. This is a gathering of priests and lay people who can discuss theology at graduate level. The programme of lectures looks very interesting. I am particularly looking forward to Fr Hugh MacKenzie on "Why do we need a new Catholic Realism" and Edmund Nash on evolution and intelligent design. Fr Dylan James who has recently finished his doctorate in Rome will also be there to speak about the definition of the human person in bioethics. Although the lectures are quite challenging, this is a genuine holiday for me. No phone or doorbell to answer, the opportunity to chat at length about theology and the quiet of the monastic cloister all make for a refreshing break with a constructive purpose. Davies speculates coyly on the causes - too much alcohol, loss of inhibitions over Christmas, not stocking up on morning after pills etc. Ma Beck has an amusing list of hints for people attending St John Cantius Church in Chicago. Sandro Magister reports on Two New Documents in the Works: On Bioethics, and on Natural Law. The first is referred to by Archbishop Angelo Amato as "Donum Vitae II." He says: This Donum Vitae II is not intended to abolish the previous one, but to confront the various questions of bioethics and biotechnology that are posed today, and that were still unthinkable back then.He points out that although Donum Vitae has been around for twenty years, it is scarcely known. 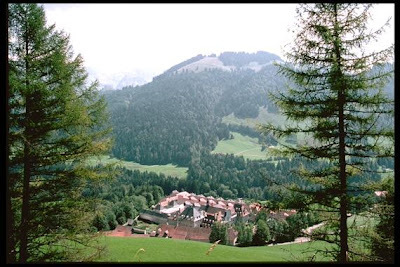 A reader emailed me with this link to a website with beautiful photographs of the Chartreuse de la Valsainte. The Cistercian Abbey of Tintern in Monmouthshire was dissolved by Henry VIII in 1536 after over 400 years of monastic life. 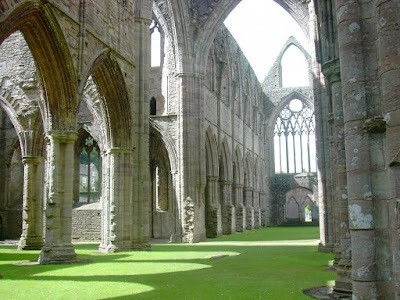 Above is a public domain photograph I found at the Wikipedia article on Tintern Abbey which shows the interior of the ruined Abbey Church. The 13th century statue of Our Lady (left) is damaged beyond repair but the Friends of Tintern Abbey have begun a project for a new statue to recreate the original as nearly as possible. The sculptor, Philip Chatfield has been studying medieval statues in France and has also researched into the form statues of Our Lady would have taken in the late 13th century, especially bearing in mind the remnants of the medieval statue at Tintern Abbey. There is a dedicated Our Lady of Tintern website for the project with drawings and photographs. It is not often that we get to see a film in England before it is shown in America. We have been unusually favoured with "Into Great Silence" (Die Grosse Stille), a film showing the life of the original Carthusian Monastery La Grande Chartreuse. It is now making its way across the pond and here is the list of US screening dates for the film. If you are not sure what this is all about, here are my thoughts on the DVD; and here are my reactions after seeing it at the cinema. This one came through from a friend in the US military by email headed "Bored Sailors = Creative Sailors (UNCLASSIFIED)" The video is a pretty good team effort. Apparently all ranks have a role in the film. 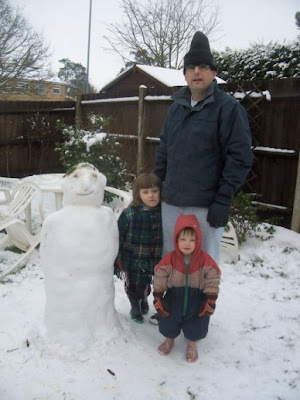 Paul, a regular commenter, sent me this picture of himself, children, and completed snowman. Children in southern England don't often get the chance to build a snowman. I once took some 17 year olds to the Faith Conference at Stonyhurst when it snowed oop North. They had never built a snowman before in their lives. Gillibrand has a funny post about the date of the indult with a pig flying over St Peter's Square. He also has the Curt Jester's MotuProprio random date generator. 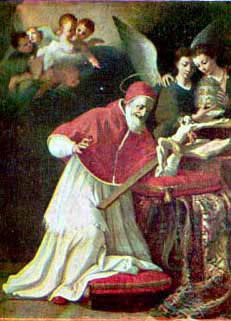 (Bull Quoprimumtempore of Pope St Pius V).